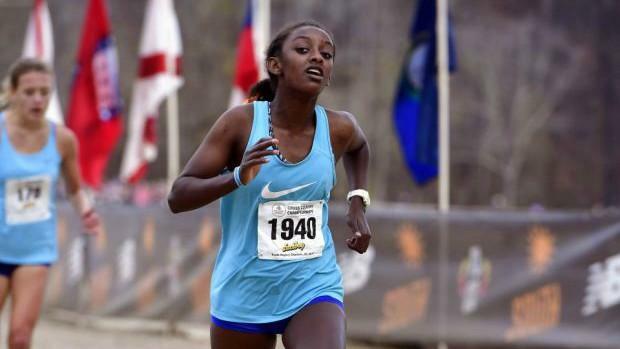 Circle Christian's Sinkenesh Parker continued Florida's success at the Foot Locker South Regional. Parker, followed in the footsteps of 2016 freshmen race champion Rylee Pustilnik, winning in a new personal best time of 18:46. The mark was four seconds faster than her runner-up performance at the 1A Cross Country Finals just two weeks prior. 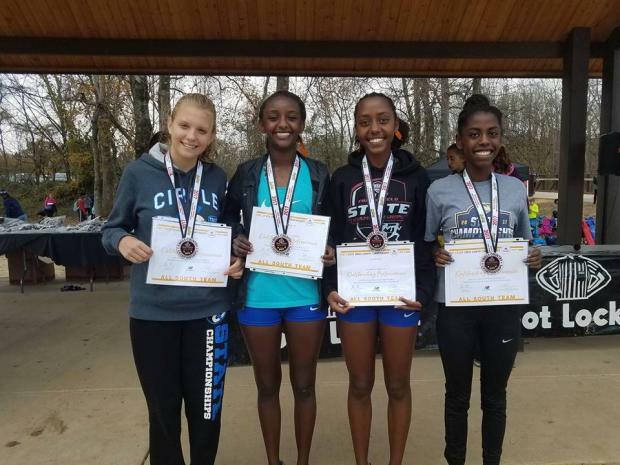 Coach Mark Caulfield sent his top four girls from their 1A state championship team to the race in Charlotte, North Carolina. It was the first postseason meet the girls had ever done.The quartet all competed in the freshmen and sophomore races with Archie Parker placing 31st in the freshmen race, Brooke McEwen 28th in the sophomore race after tweaking her hamstring, and Mulu Parker 34th in that same sophomore race. "This was a learning experience for all of us," Caulfield said. "We were trying to learn how do we extend the season from a training perspective after the emotional high of a state meet." He added with such a young program that features a sixth grader, two eighth graders, two freshmen, and two sophomores he wanted the girls to run more postseason races in the future and that this was an important year for them to learn while they are still young. "We learned a lot," he noted. "The most important thing they learned was the importance of being emotionally ready to compete which was harder then they thought after the state meet. The most important thing I learned was you need to plan your training better if you want to sustain peak effort longer." The girls even had a chance to watch Ana Wallace, Bailey Hertenstein, and Alyssa Hendrix earn top ten finishes and a trip to Foot Locker Nationals in San Diego. "It was also awesome for the girls to watch the seeded race and see Ana, Bailey, and Alyssa qualify," he said. "They were excited to see girls from Florida do so well! Overall, it really was a great learning and fun experience for the kids."